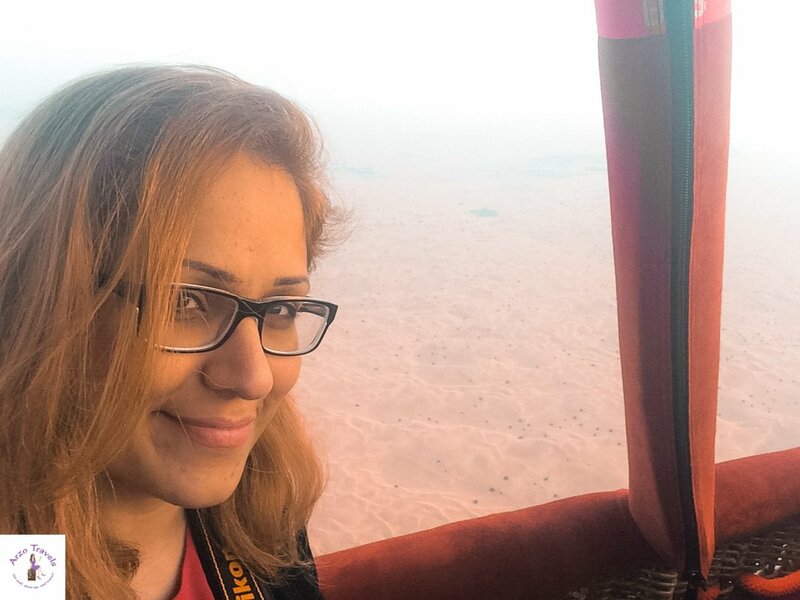 My first hot air balloon tour in Dubai, or actually this is my first hot air balloon ride ever. 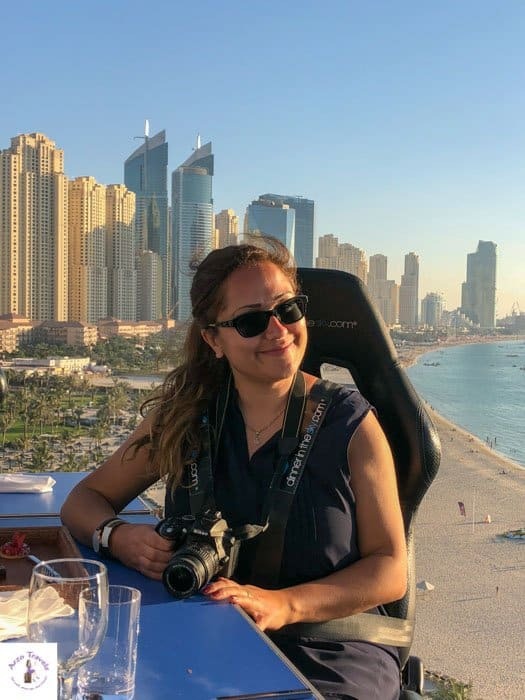 I have to admit, though, that doing that hot air balloon ride in Dubai was more or less spontaneous and I did not even think about doing it in Dubai. However, when I heard about the possibility to do such a tour in the desert of Dubai, I was immediately on fire. I arranged the tour via Travco Events, and they pick up time from my hotel was at 4 am. I am definitely not an early bird. There are only a few reasons I like to wake up that early but this trip was worth it. Doing the tour so early in the morning allows you to enjoy the sunrise while you are flying over the desert. Most often the hot air balloon rides take place at sunset – because that are just the best views. There are only a few reasons I like to wake up that early but this trip was worth it. Doing the tour so early in the morning allows you to enjoy the sunrise while you are flying over the desert. Most often the hot air balloon rides take place at sunset – because that are just the best views. 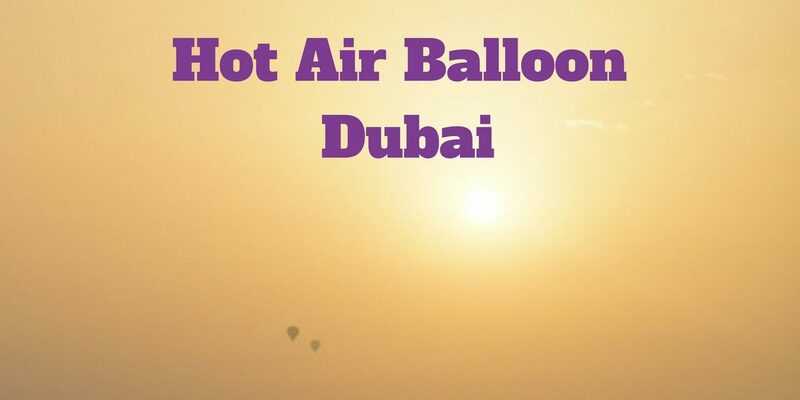 Where Does the Hot Air Balloon Start in Dubai? Depending on your hotel’s location, the drive to the desert can take about 45 minutes. I stayed at Anantara- The Palm (read the review here) and on our way to the desert, we picked up several more guests until we finally arrived. Click here if you are looking for the perfect place to stay in Dubai – for each budget. We had to wait for about 15 minutes until the balloons were ready and we could get in. It was too early in the morning so I did not really count how many fit into one basket, but it is definitely more than I expected to fit in (about 20 people). Before hopping onto the basket, we had to show our passport as there are some regulations and some people are not allowed to fly. Please ensure yourself before booking, but people older than 70 years are not allowed to fly for instance. One important aspect I would like to mention is the security. 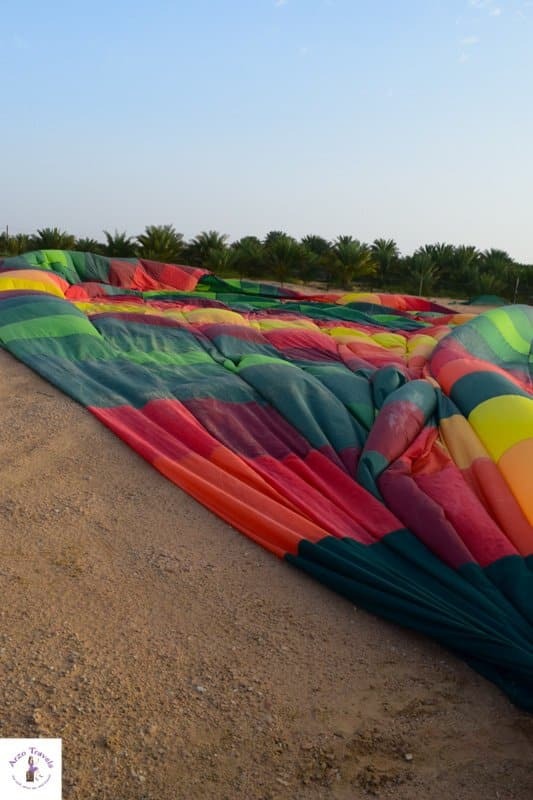 Is a hot air balloon tour in Dubai safe? I felt secure at all times, which is very important to me when doing activities like these. I always felt safe and I had the feeling that the employees knew what they were doing. Before the tour started, we had gotten instructions on how to behave and react during the balloon ride. We were told from the beginning the flight duration depends on the wind (between 30-45 minutes) and also, the landing position depends on the wind direction. So, when I finally jumped in the basket, I got scared as I was thinking of the rough landing. At that moment, I wish I had not signed up for a hot air balloon tour in Dubai. However, I tried to ignore that feeling, and the second the balloon took off, I felt calm and relaxed. For some reason, I felt like I was on a boat cruise, and the desert felt like water; weird, I know. It was not thrilling ride, it was a rather peaceful and quiet tour. However, every inch higher in the sky got me more excited, and I really enjoyed the tour. The only thing I wished for, was to fly even higher, as we did not fly as high as some other balloons I spotted. After about 30 minutes, we prepared for landing and we were told it would be an English landing. This means a tougher landing, but it was still okay and nobody got hurt. After we climbed out of the basket, we actually got a certificate. I am now officially a hot air balloon rider. We were picked up by another driver, who took us back to the hotel and arrived there probably around 8.30 am. I had been dreaming of such a balloon tour for a while, and I am happy I could tick it off my list. How much is a hot air balloon tour in Dubai? The tour is not very cheap (about 220€), but when I looked up prices in Germany, they were more or less the same. Balloon tours seem to be a very exciting and popular activity. There are the most stunning pictures from hot air balloon tours in countries/places like Myanmar, Turkey etc. 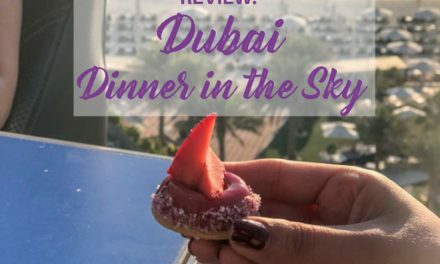 Since I do not plan to travel to Myanmar or Cappadocia in near future (here are some places where you can do great hot air ballon rides), it seemed that Dubai is a great alternative. If I compare it to the tours in Germany (though, I have done none in Germany), I definitely recommend doing one in Dubai. It is not only about the flight. A balloon tour is about the environment, and I assume you should, if you consider doing one, do it somewhere where the environment interests you. The desert is a great place to do so, and I am happy for these memories that will last for a long time. For more info check out the website of the tour-operator here or the Facebook link here. Disclaimer: A hot air balloon tour had been on my list forever, and so I was happy when Travco Event invited me. As always these are my own opinions. 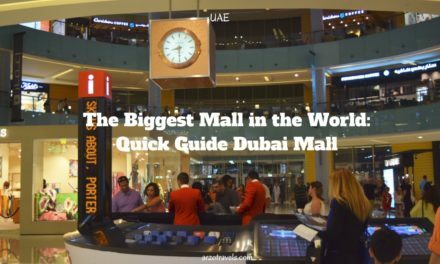 Looking for a one-week itinerary in Dubai? Then read these tips. If you are curious and want to find out how Taj Mahal looks from above check out the post about the hot air balloon ride in Agra. Click here for more about Dubai. More pictures on Instagram, Twitter and on Facebook.